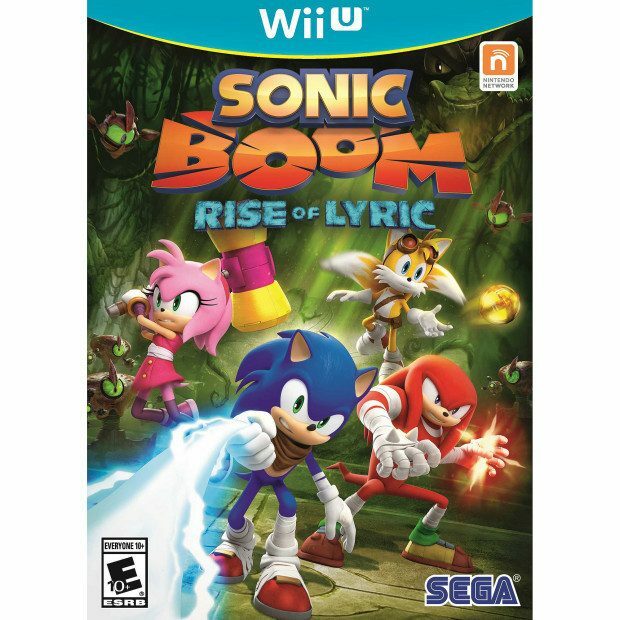 Sonic Boom Rise of Lyric (Wii U) Just $12.88 Down From $49.96 At Walmart! You are here: Home / Great Deals / Sonic Boom Rise of Lyric (Wii U) Just $12.88 Down From $49.96 At Walmart! Right now you can get this fun Sonic Boom Rise of Lyric (Wii U) for just $12.88 (Reg $49.96) at Walmart! Four Friends – Each playable with their own unique skills and personalities. Play as a team – Use individual abilities to explore the environment, fight together in combat and use the new Enerbeam tether mechanic to interact with the world. A New World Full of Adventure – Discover amazing environments, run at high speeds, fight colossal enemies and pilot awesome vehicles. Multiplayer – Drop in/out two-player co-op, and a special “Team Challenges” mode for up to four players. Platform Exclusives – Off-TV play, GamePad interactivity, and Miiverse sharing features. Plus: Unique collectibles featured in the Nintendo 3DS version will unlock special content on the Wii U version via local communication.